This is Bob Chrystal. Now I know what you're thinking - who the heck is Bob Chrystal? And, why is there a book about him in 2018? Chrystal, born in Winnipeg in 1930, played two seasons with the New York Rangers. He patrolled the Broadway blue line in 1953-54 and 1954-55, providing a physical presence with his rugged and enthusiastic play. He also added 11 goals and 25 points in 132 total NHL games. 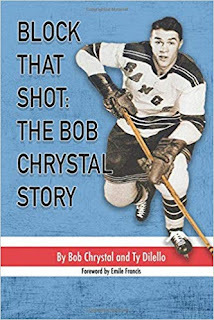 Before turning pro, Chrystal was a key member of the Brandon Wheat Kings of the Manitoba Junior League, twice appearing in the Memorial Cup, including in 1949 when they lost a heart-breaker to the Montreal Royals. After his junior career Chrystal spent a year in the USHL with Denver before spending two seasons with the AHL Cleveland Barons. After his two years with Cleveland he was traded to the NHL Rangers. After his two year stint in the Big Apple concluded, Chrystal returned to the Canadian prairie and the old Western (professional) Hockey League. After a year with the Saskatoon Quakers he returned to Brandon to play with the Regals. Unfortunately the Regals moved to Saskatchewan and later St. Paul, Minnesota, so Bob's homecoming was short though sweet. In 1958-59 Chrystal played his final season of serious hockey in his hometown with the Winnipeg Warriors. Now, all these years later, up and coming author Ty Dilello has helped the 88 year old Chrystal pen his autobiography. Why do you want to read about a long-ago player you likely never heard of when there are so many other hockey books out every year? It's because every hockey player has a story to tell. And you may discover that a relative no-name like Chrystal has a more interesting story than some. It's a story that will take you back in time, both in terms of hockey in it's golden age, and life on the Canadian prairies and even in New York City when it was a much simpler time. The book also features a fascinating collection of newspaper clippings from the Chrystal family collection as well as first hand memories from Emile Francis and Stan Fischler. Don't dismiss this book about that guy you never heard of before. It might just be the best read of the season. Block That Shot: The Bob Chrystal Story is now available. The new hockey season is upcoming, and that also means a new hockey book season. And if the first hockey book of the new season is going to be any indication, it's going to be a fantastic year for hockey book enthusiasts. Kevin Shea writes The Hall: Celebrating Hockey's Heritage, Heroes and Home. 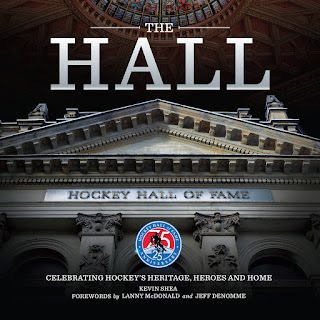 On the Hall of Fame's 75th anniversary, and the 25th anniversary of the Hall's move to the famed Bank of Montreal building in downtown Toronto. 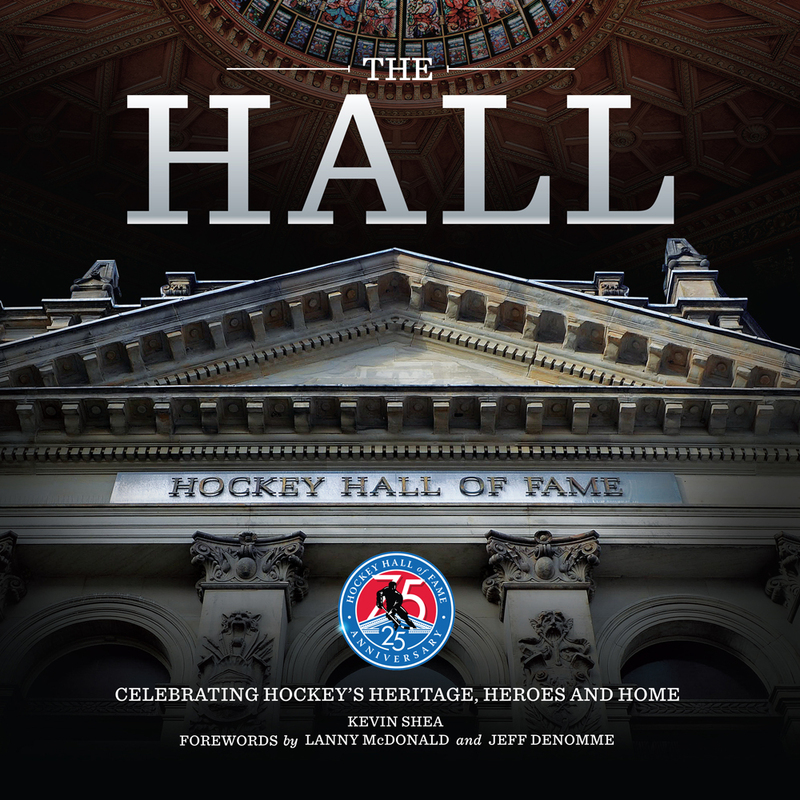 The book is billed as "A stunning hardcover book that features dramatic and compelling imagery and uncovers the fascinating history of the Hockey Hall of Fame." It is rare that anything lives up to that type of hype, but this book truly does. With all the photos and features this book serves as both a page turning coffee table book. But there is enough text in here for even the most studied hockey fan to enjoy at length. By now every hockey fan should know a book with Kevin Shea's name on it will be nothing short of fantastic. The book covers everything from the earliest visions by the Hall's founders to the ghost that haunts the bank where the Stanley Cup resides. Honoured members are front and centre, including a great story about how a kid working at the Hall tried to give Wayne Gretzky some advice on how to shoot a puck at the interactive shooting display. You will have to wait until September 10th to pick up the book in stores and online. 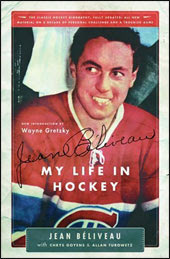 It is part of the National Treasure Series of books that celebrates the Hockey Hall of Fame. 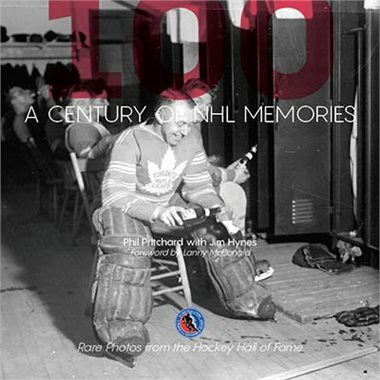 The first, A Century of NHL Memories, had a different aura about it that this new book exceeds. I have to admit this one surprised me. I mean, why would I, a western Canadian hockey fan, care about the businessman who financed Conn Smythe's Toronto Maple Leafs? That was how many years ago? And, ugh, yet another Leafs book, and this one about some guy no one has ever heard of? 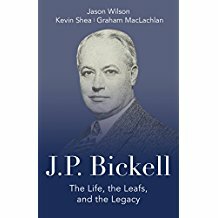 But J.P. Bickell: The Life, The Leafs and The Legacy is a fascinating read. 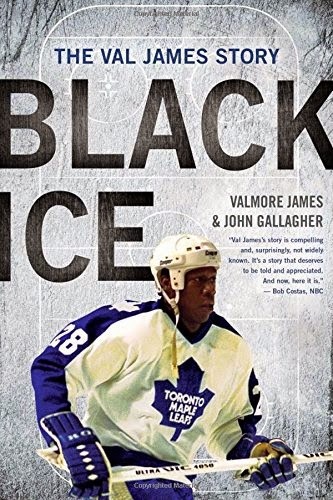 It's a fascinating read mostly because, as it turns out, this is not a hockey book so much as a Canadian history book (well, maybe Ontario history). It just so happens that J.P. Bickell was an incredibly important figure and continues to be many years after his death. Bickell was a self made millionaire mining magnate who left an enduring legacy not only on the entire industry but the many communities who benefited from such development. That made Bickell a very wealthy person, and he spread his wealth around. He was instrumental in the founding of the Famous Players movie theatre chain - think about that when you go to the movies next time. He fought in World War II and became very interested in aviation. And he was a great philanthropist. In fact half a century after his death his foundation continues to give away his money to hospitals, scholarships, art galleries and children's camps. Bickell was also a financier of many sports, most notably the Leafs and Maple Leaf Gardens. He also was involved in boxing, boat racing, baseball and golf. See, this isn't just another Leafs book. Far from it. 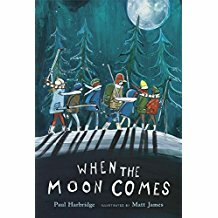 Author Paul Harbridge and illustrator Matt James have teamed up to bring us the fantastic new hockey-themed children's book When The Moon Comes Out. It's about hockey at it's best - kids playing shinny on the frozen pond. Only this book takes place in the dark of the night, with only the full moon to light the way. Anyone who has ever played the game this way understands what a unique experience this is. James' brilliant use of colour truly captures the dark and cold so that you can almost see your own breath. Okay, not quite, but it does give you the chills of the black night and really sets the atmosphere for the story itself. Harbridge's story matches the visual sensations, taking the readers on a nostalgic journey to a simpler time when hockey was beautiful. Think I'm wrong? Well the people who shortlisted the book for 2017 Governor General's Award for Young People's Literature are on my side. 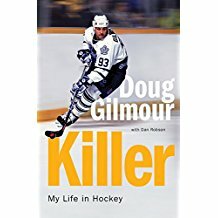 Doug Gilmour tells all in his autobiography Killer, as told to Dan Robson. It's a story of the Canadian Dream as the hockey-loving kid makes it all the way to the big leagues. He was one of the premier players in his day, and became near-immortal as the heart and soul of the Toronto Maple Leafs for a short time in the 1990s. He was arguably the best player in the world for some of that stretch. 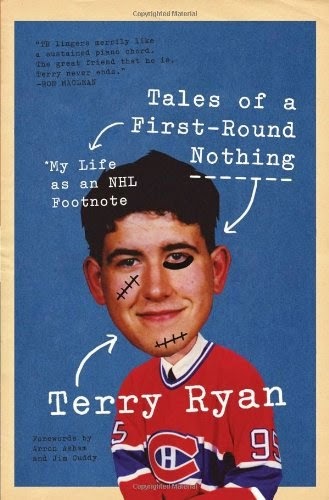 That Toronto connection instantly puts this book on the best sellers list, as too many of the Maple Leafs books tend to do. The endless line of Leafs fans will enjoy this book, as will many other hockey fans from Gilmour's era. He was a well travelled superstar, extending his fan base. It's an easy read, with some good stories, but for the most part this is a typical jock-talk book. You'll get some insight into the man himself and some of the events of his career. But for the most part this is another pedestrian addition to the world of hockey literature. I do have to preface this commentary with the fact that the author of this book, Ty Dilello, and I have become good friends. And he was far too nice to me with his mentions of me in his new book, Golden Boys: The Top 50 Manitoba Hockey Players of All Time. Young Dilello is a rising young star on the hockey literature scene. When I learned he was undertaking this historical effort, I was excited to see how he tackled it. After all, hockey in Winnipeg and Manitoba goes back a long, long ways. We all know about guys like Jonathan Toews and Ed Belfour And there's no shortage of information on the superstars like Bobby Clarke and Terry Sawchuk, regardless of what era they're from. But how will he get a take on Bones Raleigh or Dan Bain? The answer is through impressive, unending research. Dilello scoured every source imaginable, be it the written record or, where possible, talking to the player or their families. He even scoured through military documents. The result is a true understanding that is passed on to the reader in the book. The other thing that is passed on is the author's passion for the project. Some hockey books can seem tired or forced. Dilello's enthusiasm for the research comes through time and again as you flip the pages of this book. The book's format is obvious. 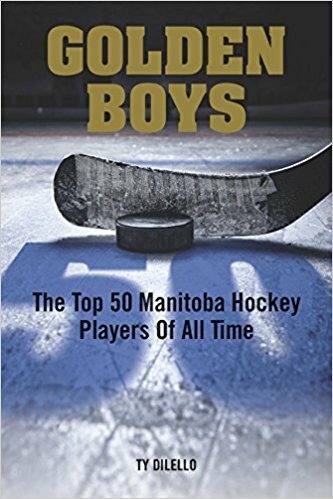 The top 50 players in Manitoba history are ranked. I won't give away the rankings other than to say that they are both accurate and sure to create debate and dialogue at the same time. It's a good book regardless if you're from Manitoba or not. You will learn lots about all of the players involved as well about hockey in general. Golden Boys (Trailer) from Ty Dilello on Vimeo. 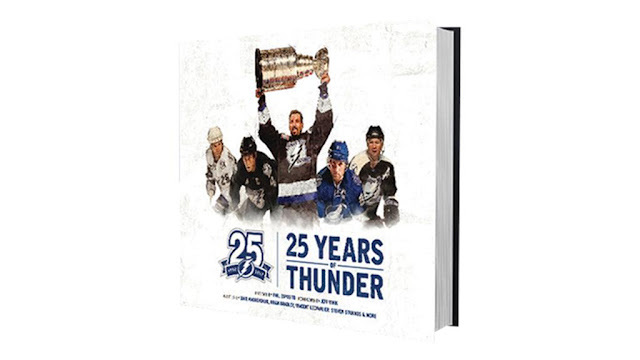 TAMPA BAY - The Tampa Bay Lightning announced today their 25th anniversary book titled 25 Years of Thunder officially goes on sale Thursday, October 12. The book will also be available this Sunday at the Lightning's 25th Anniversary Celebration at Expo Hall featuring the 1992-93 team. Fans can purchase the commemorative book for $35 ($25 for Season Ticket Members at AMALIE Arena) at Tampa Bay Sports at both the AMALIE Arena and International Plaza locations as well as online at www.TampaBaySports.com. Additionally, the Lightning are taking orders for a special, limited edition book signed by Phil Esposito, Dave Andreychuk, Vincent Lecavalier, Steven Stamkos and Brian Bradley, retailing for $125 while supplies last. The 144-page hardcover book takes fans on a journey through the franchise's 25 seasons in the National Hockey League and features iconic photos from the organization's early days, Stanley Cup run and much more. The preface of the book is written by Lightning founder Phil Esposito and forward by owner Jeff Vinik. 25 Years of Thunder also features articles written by former players including Dave Andreychuk, Vincent Lecavalier and Brian Bradley as well as current captain Steven Stamkos. Other contributors include FOX Sports Sun's Paul Kennedy, LightningInsider.com's Erik Erlendsson and the Lightning's Matt Sammon and Bryan Burns. 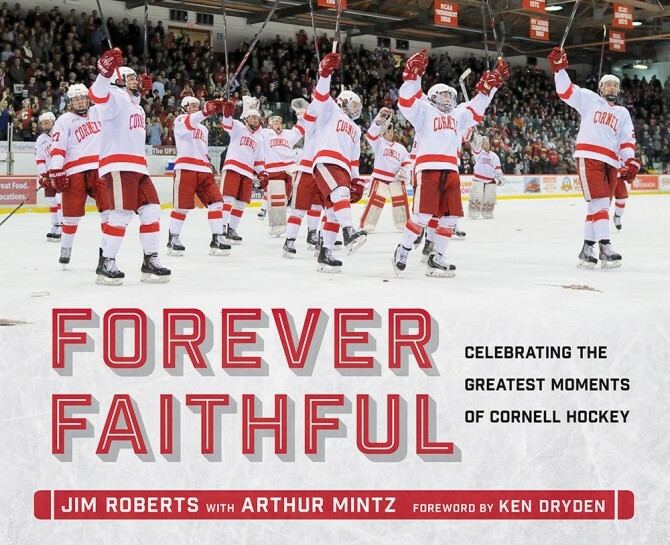 Jim Roberts and Arthur Mintz have put together a beautiful book all faithful Cornell hockey fans - of multiple generations - simply have to have. In Forever Faithful: Celebrating The Greatest Moments in Cornell Hockey have a stunning tribute to the Big Red. They look at the last 60 years of the hockey team's modern history - both men's and women's - and honour the great teams, many heroes and the wonderful fans. Roberts and Mintz accomplish this by reliving 24 of the greatest games in Cornell hockey history. That includes the 1967 and 1970 national championships, including the magical 29-0 1970 season. These memories make up the bulk of this 280 page shrine which is loaded with photos. A big reason for Cornell's success in the late 1960s was due to it's most famous graduate - goaltender (and history student) Ken Dryden. Dryden, a noted author in his own right, wrote the book's foreword. It is beautifully done, and naturally draws all hockey readers who are removed from Cornell. This glimpse into Dryden's life at that time is an excellent read. One of the top hockey books of 2017 is Nine Lessons I Learned From My Father by Murray Howe. Yes, Howe. As in Gordie Howe was his father. 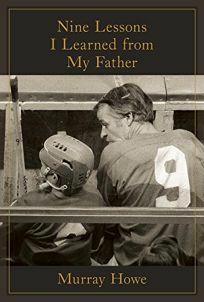 Murray, a doctor, may not be as well known as his NHL playing brothers Marty and Mark (who came out with his own book, Gordie Howe's Son, in 2013) but he is a gifted writer who, perhaps because he didn't play hockey at a high level, had a special vantage point of Gordie Howe than others did. I have not read this book yet, but it promises to be, unlike most hockey books, a true gem. Sports Illustrated intended this book to be for kids, but I have to tell you this is a fantastic hockey history book that any hockey fan can enjoy. In fact, my recurring thought upon the inaugural flip-through was this is the book the Canadian Museum of History or the Hockey Hall of Fame should have put out to promote their exhibits. Aside from the choice of font and a few of the cartoony graphics, you quickly forget this was supposed to be a kids book. I would say it is an excellent introductory hockey history book for anyone, any age. The book looks at the greatest players over the years, compares the evolution of the equipment and coaching strategies, and celebrates the records and great moments in hockey history. The women's game, some of the crazy characters over the years, and even the fans get their due, too. While it is a great introductory hockey history book, even the most seasoned hockey fan will enjoy looking through this wonderfully presented title. Sports Illustrated also has similar books for baseball and football. It's a safe bet basketball will get it's book next year. Andrew Podnieks is back, with an impressive lineup of research and writing help, to give us Fast Ice Superstars of the New NHL. At first glance I was really excited about this title. Wonderfully presented throughout it's glossy and colourful pages, this book profiles more than 60 of the top young players in the National Hockey League today. Since I'm known much more for hockey history, I have to admit to not knowing as much about the up and coming stars as I would like. Cam Atkinson was an All Star last season, and I knew nothing of him. Vincent Trochek isn't from Eastern Europe?! Sam Reinhart - now which of Paul Reinhart's kids is this? And with Lucas Aykroyd, Rob Del Mundo and Carol Schram helping to put these biographies together, I was certain this was my chance to learn some fascinating things about today's young stars just as the 2017-18 season gets underway. Unfortunately I found the brief biographies to be very pedestrian. Given the talent crew working on this book I hate to say that, and keep re-reading it to see if I'm being too harsh. But the profiles tend to blandly state what each player did each season. So many goals, this many points, while playing for this team that year. A quick glance at the player's stats lines can tell any educated fan this much. But the book fails to tell us more interesting stories that hockeydb.com can not. Perhaps this book is aimed at younger fans or new fans, and it would make a good Christmas gift for them. But if you are looking for more in depth journalism about today's young players, you will have to look elsewhere. Noted hockey author Mike Ulmer has teamed up with the talented illustrator Chris Lyons to give us S is for the Stanley Cup. 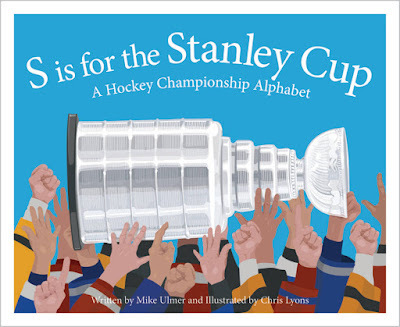 Not surprisingly, the book teaches kids the alphabet, with a hockey reference given for each letter. It's a tried and true formula. Sleeping Bear Press has done it before with Z is for Zamboni and H is for Hockey. This book will keep mom and dad entertained as much as the kids. While the kids are studying the wonderful artwork with dreams of hockey greatness developing somewhere in their heads, mom or dad can read out loud about some of the fascinating stories in the Stanley Cup's 125 year history. I guarantee parents will learn something about the Stanley Cup and hockey history while passing on the love of the game to their children. There are two things I encourage parents to do it is to instill the love of hockey and the love of reading in their children as early as possible. This book is a great way to accomplish that. It will undoubtedly be a favorite read - for child and parent alike. The suggested interest level is ages six to nine, while the suggested reading level is grade two. You may know of Rolf Remlinger and his hockey comics called Hockey Daze. 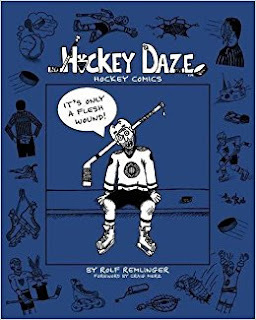 Remlinger has been capturing all of hockey's silliness, as he uniquely sees it, with his cartoons for over 25 years now. He has taken some of his favorites and compiled them in his very own book. The book is well done. It's the kind of book you can read from cover to cover, or just leave on the coffee table and read the odd page from time to time for a good laugh. The cartoons have a certain "Far Side" feel to them. The key to a collection of hockey comics like this is the cartoons have to a certain timelessness to it. It doesn't matter if it the actual event was from a different generation. Each selected cartoon can resonate with even the most casual of fans. 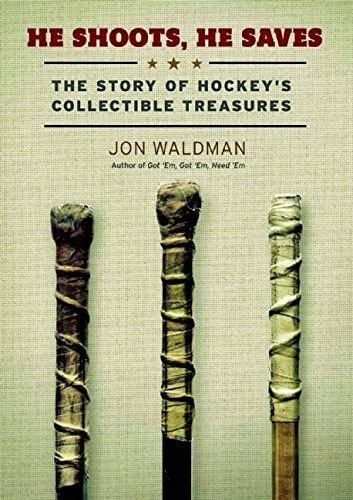 Because the collection covers so many unique situations over such a long time, it is an interesting form of a hockey history book in itself. What makes this more of a book than just a collection of cartoons is that Remlinger does provide background information on each cartoon to provide some real value-added content that fans will appreciate. That helps turn this from a collection of favorite cartoons into a true book - a true book that will leave hockey fans chuckling all the way through. For more information visit Hockey-Daze.com or order the book at Hockey-Daze.com/Book. It's super reasonably priced making this a great Christmas buy for young kids or your beer league buddies. Dallas Stars are leading the league as a first class organization in many ways off the ice. One small example - they are bucking the trend on paperless season tickets. Instead, they pamper their season ticket holders with a box of gifts as well as the traditional tickets. 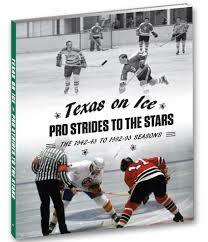 One of the gifts to surprise their clients this year is the new book Texas On Ice: Pro Strides To The Stars. The book looks at the history of professional hockey in Texas from 1942 through to 1993 when the Dallas Stars arrived. They thoroughly have it all from the Houston Apollos to the Amarillo Wrangers to the Fort Worth Texans to Gordie Howe's Houston Aeros. The book is beautifully laid out with amazing action photography, both in color and in black and white. The text compliments the photos nicely with text that recaptures the characters, the rivalries and the Texan hockey heroes of yesterday. A statistical package completes the book perfectly. The book is a group effort funded by the Dallas Stars, though hockey book fans will recognize the executive director of the project: Jason Farris. Farris has been lauded here at HockeyBookReviews.com for his wonderfully produced personal projects in the past, such as Hail Cesare: The Cesare Maniago Story, Hockey Play by Play: Around The NHL with Jim Robson, and most especially Behind The Moves: NHL General Managers Tell How Winners Are Built. Mr. Farris was a rising hockey author who was funding personal projects that put big publishing houses to absolute shame. Then he disappeared. Sort of. He moved to Dallas in 2012 and became the Executive Vice President and Chief Operating Officer of the NHL Stars. I should have been nicer to him when he was just a "nobody" in Vancouver, eh? How does a hockey book author become EVP and COO of a NHL team? Well in his spare time he graduated from MIT's Sloan School of Management. That was after earning Political Science and Physics degrees here in Canada. The dude is legit. The Dallas Stars - and the entire NHL - is better off for it. Where does he find time to produce such a high quality hockey book like Texas On Ice? "You can accomplish a lot between the hours of midnight and 4am," he told me. I believe it! This is actually the second book in the Texas On Ice series. 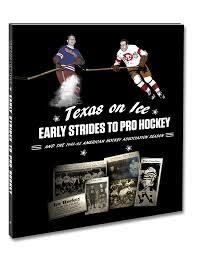 Last year season ticket holders received the book Texas On Ice: Early Strides To Pro Hockey and the 1941-42 American Hockey Association Season. The audience for this book is a lot more limited. Not a lot of people remember hockey in 1941-42, let alone the AHA which featured the Dallas Texans and the Fort Worth Rangers. But every hockey fan should see this book, and then demand their favorite teams have such a wonderful remembrance of some significant events of the past. Farris' team bring back all the action and the memories exactly as they played out back then - through the clippings of the newspaper. It's such a unique presentation, where basically the past is brought back to life. I seriously love this book! From the author:Yes, there is ice hockey in Australia. 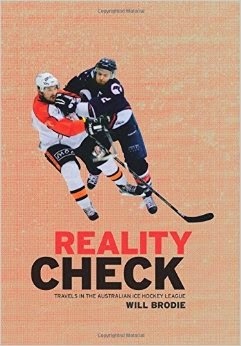 There’s a fragile but thriving national league and my book Reality Check: Travels in the Australian Ice Hockey League chronicles a year in the AIHL, where dedicated locals and adventurous internationals train and play like professionals, but no-one gets paid. I spent a year visiting the quirky outposts of this unique hockey backwater, making three trips each with arch-rivals Melbourne Mustangs and Melbourne Ice. Australian ice hockey is intense but informal, exhilarating but irreverent. It thrives on grassroots improvisation yet utilises social media savvy to expand its national audience. In 2014, the passion of this community saw a disbanded team reborn in a week and delivered a dramatic finals series followed like never before. 2015 Hockey Books: Who Is Wayne Gretzky? As a kid I would have loved such biographies. The series includes Who Were the Wright Brothers? , Who Was Isaac Newton? and Who Was Jackie Robinson? This is a fantastic series that should be in elementary school libraries and classrooms, but in parents' homes. I know I will be getting a few for my nephews over the next few eyars. Labels: 2015 Hockey Books, Who Is Wayne Gretzky? The hockey world will set its eyes on Columbus, Ohio next weekend as the National Hockey League mid-season All Star Weekend visits the city. It is the first time that All Star Weekend will be held in Columbus. That's not really a surprise. The Columbus Blue Jackets have only been in the NHL for 15 years now. For the most part the Blue Jackets have had little impact in the hockey world. There was the expected expansion growing pains followed by a few years of irrelevance, at least outside of Ohio. They made great strides in 2013-14 with strong performances from Ryan Johansen and Sergei Bobrovsky, but have regressed this season thanks in large part to injuries. Through it all the hockey fans in Columbus have been loyal and supportive. It is proving to be a good hockey market, which has surprised many of us. We wondered about corporate support and lack of a hockey history in a city that loved it's college sports, especially football, which ultimately is a commentary on our ignorance more so than the market place perhaps. Columbus has had professional hockey since 1966. The International Hockey League hosted three different variations of Columbus hockey. First it was the Checkers, then the Golden Seals, and then the Owls. But by 1977 pro-hockey (and it was pretty low level of minor league hockey back then) had exited Columbus for a decade and a half. Pretty unimpressive stuff, so far. In 1991 the ECHL welcomed the Columbus Chill, and the hockey landscape changed forever in Columbus. 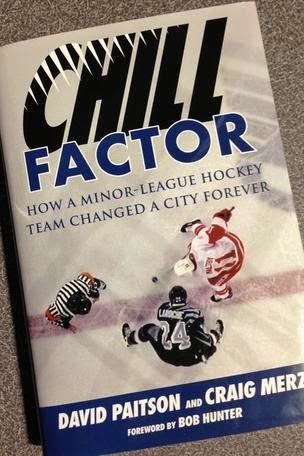 Chill Factor: How A Minor League Hockey Team Changed A City Forever is a new book that examines how this minor league hockey team changed a city forever, and paved the way for the National Hockey League's arrival by the turn of the century. It is written by long time Columbus sports writer Craig Merz along with former Chill president and general manager David Paitson. Paitson was the man very much responsible for much of the success. He was the marketing genius who used edgy and innovative campaigns that attracted the attention of the town. It was refreshing and an authentic, and at times controversial. But this Ohio State University mad town were very receptive to their aggressive tactics (one reporter called going to the hockey game was like "the world's ;arg and, against long odds, really supported their upstart minor league hockey team. The rink was filled, including one stretch of 83 consecutive sell-outs. Chill Factor is a fun story of off-the-wall marketing and keen vision turning a college sports town into a a major league NHL city. And with that Columbus' sleepy downtown was transformed thanks to the billions of dollars of development created by the new downtown arena. And with that, the city's status was changed in the eyes of outsiders. It is told through the words of the man responsible for setting that vision, sports executive David Paitson. Paul Coffey was a wonderful offensive defenseman, putting up numbers from the blue line that rivalled the great Bobby Orr. He was known for great outlet passes, his manning the point on the power play, and, above all else, his skating ability on those end to end rushes he was so good at. But one thing he was not known for was playing defense. Which is funny because the lasting image of the 1984 Canada Cup has always been a brilliant defensive play by Coffey, which he quickly turned into an offensive rush and set up the dramatic winning goal. It is the quintessential Paul Coffey play. Ah the wonders of the ol' Canada Cup tournaments. I bet you didn't know that released two days before Christmas 2014 was the Canada Cup 1984: 5 Disc DVD Collection , featuring all games involving Team Canada. Two days before Christmas certainly doesn't allow for capitalizing on the Christmas rush, but who am I to criticize the marketing team? The key thing is the Canada Cup '84 is now available for us to relive. Buy the DVD box set here: Amazon.ca - Chapters - Amazon.com . That's right - We can relieve the heroics of Wayne Gretzky, Paul Coffey, Raymond Bourque, Michel Goulet, Mike Bossy and all of Team Canada as the slowly come together through the round robin, win the classic semi-final against the Soviet Union and defeat the surprising Swedish team in the two game finale. We also get a look at then-youngsters like Steve Yzerman, Dominik Hasek, Hakan Loob, Scott Stevens and Chris Chelios. We also get semi-final game commentary by Team Canada assistant coach Tom Watt and Hockey Hall of Fame journalist Scott Morrison. In addition, we get many of the classic interviews and, yes, the always popular classic commercials from the original broadcast! As a bonus, the final game of Canada Cup 1981 is also released on DVD. The Russians handed Canada their worst loss ever in that game, 8-1, likely ensuring we will never see a commercial release of that tournament. So the curious will want to see this game, too, and it is a great way to set up the drama of 1984. Canada Cup DVDs already exist for 1976 and 1987 . Could 1991 be far away? This also seems to be a great time to share this rare photo. It is of the jersey exchange after the tournament's final game, then tradition in such international friendlies. Here Montreal Canadiens teammates Mats Naslund and Larry Robinson exchange sweaters. Clearly Naslund's does not fit big Robinson very well. Roger Godin, veteran hockey historian, is back with another paper he calls a monograph. 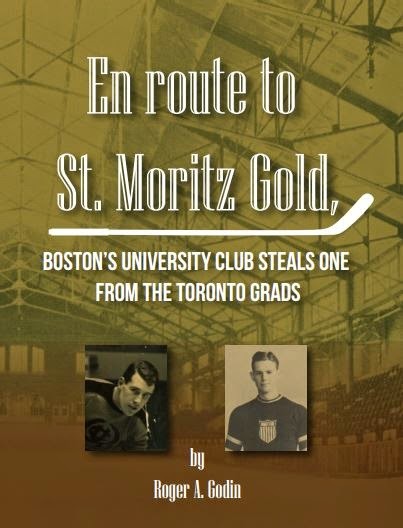 For $3 plus shipping you can learn all about Boston's University Club's 1928 upset of the ultimate Olympic champions in En Route To St. Moritz Gold. The Boston's University Club, not to be confused with the Boston University hockey team, actually played the Allan Cup champions University of Toronto Grads twice prior to U of T travelling to the Olympics and easily winning the gold medal. But the Bostonians gave U of T all they could handle in a 2 game, total goal series which ended tied 2-2, including a 1-0 victory for Boston in game 2. Godin goes on to tell us that the United States did not ice an Olympic team in 1928, but wonders what would have happened had the Boston Univesity Club worn the red, white and blue. If you are interested in acquiring this monograph, please contact Mr. Godin directly. It costs $3 plus shipping. From The Publisher: For fans of NHL 24/7, a raw and revealing account of roller coaster of a season of the Peterborough Petes – the launching pad for a record number of NHL stars including Steve Yzerman, Tie Domi, Roger Neilson, Chris Pronger and Bob Gainey. 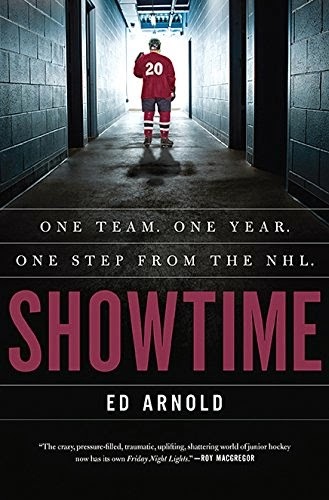 But, victory is never guaranteed and after a disastrous 2011-12 season, The Petes agreed to give Ed Arnold unrestricted access throughout the 2012-13 season offering an unprecedented behind-the-scenes look at one of the most-storied hockey franchise in Canada and a season marked by defections, firings, heartbreaking losses and incredible victories. In the tradition of Next Man Up and Friday Night Lights, Chasing Hockey Dreams uncovers the world of hockey as rising stars fight their way to the pros.